View More In Honey Dippers. As Denmark's largest manufacturer of wooden kitchen utensils, ScanWood presents their line of olive wood products. 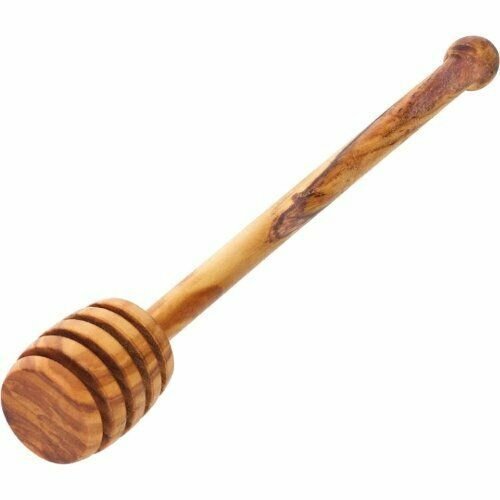 The olive wood honey dipper is a great addition to your kitchen, and makes a great gift for honey lovers. The specialized head is designed to allow you to effortlessly drizzle honey on your favorite granolas, oatmeals, cakes, and more. If you have any questions about this product by Scanwood, contact us by completing and submitting the form below. If you are looking for a specif part number, please include it with your message.